With 2011 coming to a close, one notable 100-year anniversary has taken place. It's an anniversary that reads like something out of a movie. Now the name Vincenzo Peruggia may not readily trip off the tongue for some people, but 100 years ago, he made an audacious bid to steal one of the most iconic paintings in the whole world. So how did such an audacious theft come about? Well, it helped that Peruggia had at one time worked in the Louvre. Not only did his former employment mean that he knew the layout of the gallery, it also meant that he knew the opening and closing times. So, on August 20th 1911 (a Sunday), he hid inside the Louvre because he knew that the gallery would be shut the next day. The next day, Peruggia disguised himself with the aid of one of the white artists' smocks that the other employees habitually wore. By blending in, it was easier for Peruggia to remove the Mona Lisa from the wall and leave the Louvre with it hidden inside his smock. Fortune was also on his side, since when leaving the Louvre, the guard station was allegedly temporarily empty, as the guard had gone to get a pail of water. The theft had been vigorously planned and because it was done in such a casual way, at first, nobody thought anything of it. It wasn't until the next day that the alarm bells started ringing. A visitor to the gallery asked a guard as to the whereabouts of The Mona Lisa. The guard assumed that the painting was temporarily missing due to it being taken for a photography session. However, when word came back that The Mona Lisa was not with the photographers, the Louvre was now officially dealing with a theft inquiry. The irony was however that plenty of visitors still came to the Louvre to look at a blank space where one of its most infamous exhibits had once hung. In fact, the missing painting was hidden inside Vincenzo Peruggia's Parisian apartment (where it was kept inside a trunk). Apparently, the police believed Peruggia's alibi of working somewhere else on August 21st. Two years later, Peruggia returned to Italy, along with the Mona Lisa, where it was hidden inside his Florence apartment. By now though, Peruggia wished to make some financial gain with his theft, and had contacted the Uffizi Gallery to see if they were interested in buying the painting. Art gallery owner Alfredo Geri contacted gallery director Giovanni Poggi to confirm the authenticity of the painting. When Poggi confirmed that it was in fact, the genuine article, both men contacted the police, who then arrested Peruggia. The Mona Lisa was returned to the Louvre Gallery in 1913. Later on, however, another theory emerged as to the motives behind the theft. Former Hearst journalist Karl Decker wrote in The Saturday Evening Post in 1932. It was written that the theft was either suggested or planned by Argentine con man Eduardo de Valfierno. 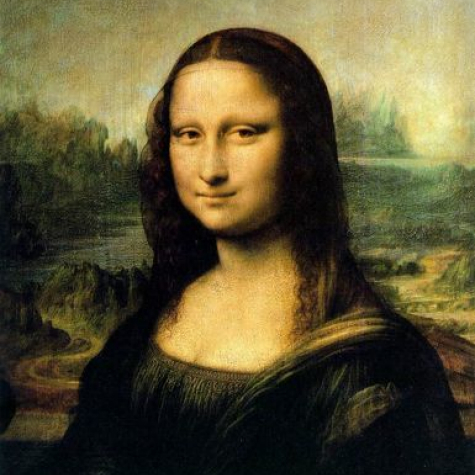 The theory goes that de Valfierno commissioned French art forger Yves Chaudron to make six copies of the original – when the real Mona Lisa was stolen by Peruggia, the copies would have been sold to collectors who would have been conned into thinking that they were buying the genuine article (all for a greater price, of course). The story remains unconfirmed to this day. It does, however, sound like the plot of a heist film – incidentally, fans of the British sci-fi drama Doctor Who may see parallels between the above theory and one of the episodes called City Of Death in which The Mona Lisa is stolen by an alien criminal who then plans to sell copies of the painting to unsuspecting buyers for a whopping profit (although in this case, the time travel aspect allows for the notion of Leonardo da Vinci to actually produce more copies!). As for Peruggia, he was released from prison after a few months. He served in the Italian army during the First World War, and after this, got married and had three children. Vincenzo Peruggia died on October 8th 1925, leaving behind the legacy of one of the most extraordinary art thefts in history.